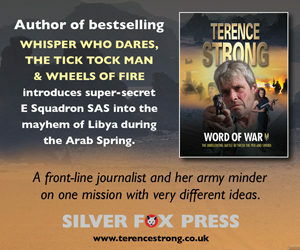 In my most recent thriller Word of War, you’ll fly through the night into the maelstrom of the ‘Arab Spring’ uprising in Libya with super-secret E Squadron SAS, protecting MI6 officials and later a feisty front-line journalist who is out to prove herself on a shocking and revealing mission that is a nerve-shredding journey to hell and back. Read the opening sequence now here. 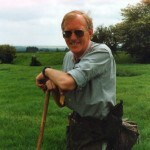 My titles are now available ONLY AND EXCLUSIVELY ONLINE – but can be ordered through all good booksellers if required. Find your local bookseller here. 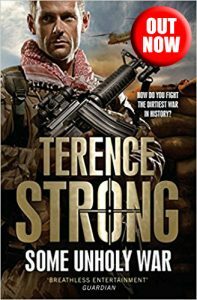 My most recent bestsellers President Down and Some Unholy War are now available as e-books. Click on the book jacket to purchase on Amazon today! It’s a dangerous world out there and it’s been my job over the years to take you the reader to some deadly and fascinating places in my thrillers. I hope you’ve enjoyed the helter-skelter journeys and will continue to do so for years to come. What a privilege it’s been to share some of my experiences with you and to let you meet a variety of characters, many of whom have been inspired by real people, or are composites of those I have met. Don’t miss my FREE Short Story: ‘Ice-Break’ you can read it here, a fictional story based on a real-life incident and is a prequel to the thriller That Last Mountain. Browse my titles where you will find first chapter downloads and links to buy online. Titles also available from all good booksellers – find your local bookseller here. Why not gift a signed copy? 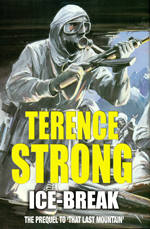 Some Unholy War is now available in eBook (Kindle, Kobo, iPad etc). 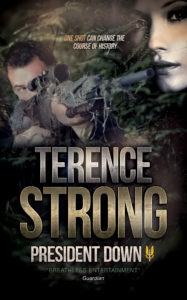 Some hardback and paperback editions may also be found on Amazon and other sites. 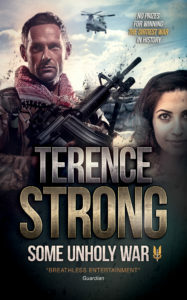 The first chapter is available to read FREE on the Book Info page, or listen to a sound-bite from the ISIS audio version. 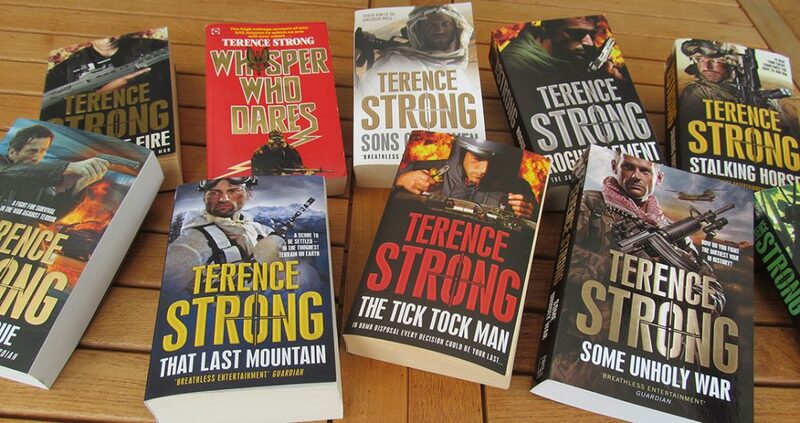 An interview with Terence Strong – the man behind the books.